Located at the entrance to the docklands, Grand Canal Plaza is a landmark complex comprising in excess of 200,000 sq.ft. 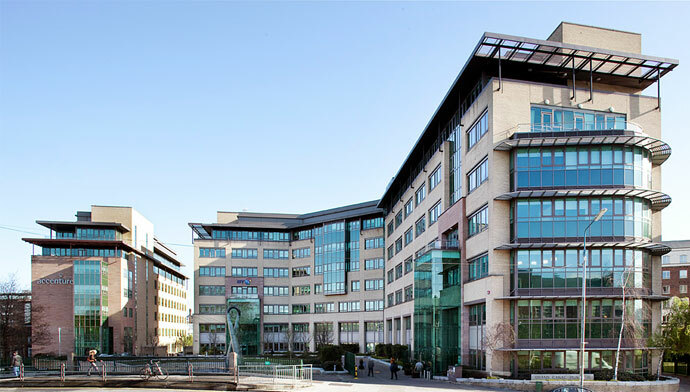 of third generation HQ offices in the heart of Dublin’s business district. 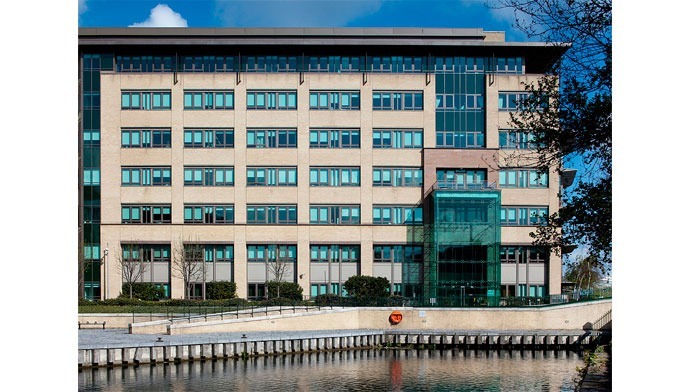 Occupiers include Accenture, BT, BNP Paribas Securities Services and Google. Size: Three premises totalling in excess of 200,000 sq.ft. Zoning: Z6 (to provide for the creation and protection of enterprise and facilitate opportunities for employment creation). Location: In Dublin 2 at the junction between Barrow Street and Grand Canal Street. Public Transport: Grand Canal D.A.R.T. station literally adjoins the complex and the premises is well serviced by bus routes. 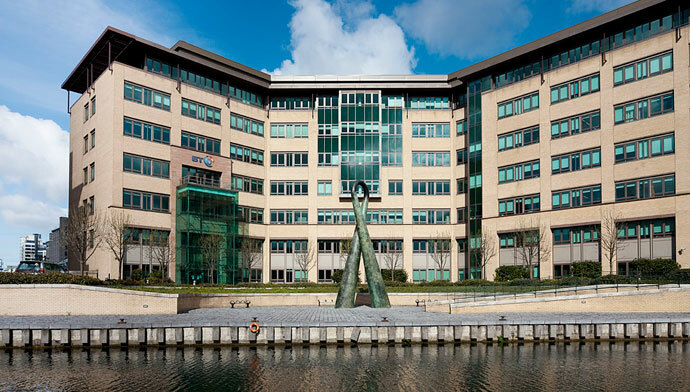 Additional Benefits: Superb profile on to both the Grand Canal and the south docklands; immediate proximity to all key amenities (including restaurants, conference facilities, hotels, gyms, shops, etc. ); secure actively managed landscaped environment; generous parking provisions, leading brand occupiers.